With the Martin Scorsese’s adaptation of Silence now in theaters, I’m pleased to be offered the chance to comment on Shūsaku Endō’s deeply moving novel and the challenges it poses to living faith traditions. While scholars and reviewers have thoroughly explored the text of Silence, most conversations about the novel still bog down in the back-and-forth over interpretations of the climax of the plot involving the protagonist Rodrigues, who tramples the fumie to renounce Christ in the formal act of apostasy that the Japanese authorities demanded during the Tokugawa shogunate (read Cieslik on the period). Because Endō researched well and grafted his fictional Portuguese Jesuit priests Rodrigues and Garrpe into the real history of the apostate Fr. Ferreira (about whom he also wrote a play with scenes that parallel those in Silence), this discussion is engrossing. From the first, both Rodrigues and the interpreter show a serious lack of comprehension of basic concepts in each others’ religion and culture, despite the fact that both have educations designed to prepare them for that encounter. The interpreter, depicted in the novel as a high-born samurai, had accepted baptism in bad faith, simply to secure the education that the Jesuits brought to Japan, an education he now uses to break down the faith of others; and Rodrigues, despite his skills with language and customs, is quickly shown to lack basic understanding of Buddhism (he thinks the interpreter is talking nonsense when the interpreter points out that the various Buddhas are not believed to be merely wise humans). The interpreter is able to point to several likely misunderstandings or abuses of Cabral and his colleagues in bringing European learning and Christianity to Japan; Rodrigues does not even need to point out the obvious, the persecuting regime of which the interpreter is an agent. In this environment of mutual misunderstanding, with Rodrigues a captive and the whole country firmly controlled by the persecuting regime, it stands out as odd that the interpreter’s basic accusation is that Rodrigues and his coreligionists are “selfish.” The interpreter accuses Rodrigues and his brother priests of endangering those Japanese that the interpreter and his colleagues are systematically hunting, imprisoning, torturing, coercing into apostasy, and executing. By depicting the relationship between the interpreter and Rodrigues in this way, Endō seems to involve the reader of Silence in the contest of interpretations of Japan’s history in the postwar era, one in which Endō was an important contender. The century leading up to World War II had involved the restoration of the Emperor’s practical rule and the end of the Shogunate, the resumption of trade with the West, and massive industrialization. With these came the adoption of a particularly Japanese version of the imperial self-assertion and colonialist war-making that animated Western powers throughout the late 18th and early 19th centuries, as liberal nationalism became the organizing ethos of post-Christian states. At the dawn of the 20th century, authors like Inazo Nitobe had written works which revised the history of Japanese culture to make it a better “fit” with Japanese appropriations of contemporary Western culture. Nitobe, who had received Christian baptism in college years and later became and married a Quaker, wrote Bushido in English, anachronistically justifying Japanese culture in Western liberal terms for his American and German colleagues; but I have personally had his Bushido recommended to me by Japanese educators as the key to understanding how “we Japanese” think. This Meiji-era rewriting of Japanese tradition tended to replace adherence to family, clan, and class with adherence to the nation and the charismatic leadership of the Emperor. It is no accident that the path taken by the Japanese was very similar to that which led Germany from Bismarckian liberalism to Hitlerian Fuhrerprinzip. For Endō’s generation, assimilating the traumas of the failed war effort, the atomic bombs, and the period of occupation called for a new synthesis of Japanese tradition with fresh cultural appropriations. As a Japanese writer who had reluctantly accepted Christian baptism, who began his career with ideas about “Eastern” and “Western” personality types popularized by American anthropologist and wartime consultant Ruth Benedict, Endō was well placed to help shape the self-understanding of Japan in the middle 20th century. In this fresh synthesis, the difference between East and West that Endō and many others first emphasized was the “strong self,” the individualistic bent much celebrated in Romantic literature, capitalist economics, and subjectivist morality. We can see that there is some truth in saying that American culture has an ideological commitment to a “strong self” when we notice that the same language of “freedom” and “choice” can be used to justify diametrically opposed commitments in American politics, with every expectation that there can be no appeal beyond these arguments. In much the same way, Japanese culture has traditionally insisted that whatever “we Japanese” find normal is, in fact, normative; one ought to abide by that consensus, however changeable it proves to be as a matter of history. American culture is thus often seen as “selfish” in a way that clearly distinguishes it from Japanese culture. This way of interpreting Japanese and American culture leads to explicit appeals in Japanese education and marketing for people to become more “selfish,” and also to resentment of such appeals. Japanese Christians often think of their adherence to an inner conviction that Jesus is “the Way, the Truth, and the Life” as virtuously “selfish,” while their families feel betrayed by this abandonment of what “we Japanese” think about religion and accuse them of being “selfish” in a vicious sense. This contemporary understanding of what is “selfish” does not distinguish clearly between greed or hubris, on the one hand, and principled adherence to moral conviction or pursuit of truth, on the other. What is important to notice here is that this preoccupation with what is “selfish” has more to do with the situation surrounding Endō and his audience than with the historical setting in which Endō places his characters. Endō skillfully uses the historical setting to set the problem at a distance and to give it life-and-death gravity, but we must not forget that this is fiction: that is, that the author has not only attempted to reproduce a historical situation for our understanding, but has inserted elements that author and audience share with each other and not with the real historical figures. When we forget that, the author is free to infuse his perspective on the contemporary situation with the gravity and sobriety of the historical situation. This commingling can be profitable, insofar as the author’s perspective tends toward what is true, good, and beautiful, but dangerous where it does not. One respect in which readers need to ask very careful questions of Silence, then, and of each other as they discuss the novel (and the movie) is this: What does Silence urge us to view as “selfish,” and is this perspective helpful or hurtful in apprehending what is true, good, and beautiful? All these are, in the final analysis, what Endō’s interpreter, the Buddhist monk, and the apostate Ferreira set forward as the meaning of the act Rodrigues is compelled to undertake. These are described as “the path of truth” which Rodrigues ought to walk—the first step in this “walk,” of course, being for the priest to trample on the image of Christ in repudiation of his Christian faith and calling. I suggest that we might want to consider whether the companion Rodrigues sets out with, Fr. Garrpe, represents a grasp of Christian faith that triumphs over the despair urged by the interpreter.In my academic work, I’ve tried to identify and critique a couple of the specific problems in this conflation. Chief among these is the sense in which “abandon self” is used here, which depends directly on the idea that Christian faith is “selfish” unless it is supported by social consensus. In contemporary Buddhist-Christian dialogue, this idea that Buddhism and Christianity share a common sense of what it means to “abandon self” cuts even deeper than a false altruism to a false definition of kenosis, one that robs the Son of God of the prerogatives of deity and Christians of their capacity to truly apprehend Him who said, “No one comes to the Father except through me.” This is the nub of a cautious or negative evaluation of the theological content of Silence: not that we naively believe it explicitly urges us to trample on a fumie or otherwise to make an explicit act of apostasy, but that it lends the life-and-death force of a terrible situation, the sobriety and gravity of history, to contemporary voices that seek to absolutize the “dictatorship of relativism” by making effective public adherence to the Christian tradition seem “selfish” and finally futile. If the interaction of the interpreter and Rodrigues, as well as the consensus of the other characters that the interpreter expounds, are the frame for the climax of the main plot—the meaning of the act when Rodrigues tramples on the fumie—and if the novel is meant to enlist our sympathy for Rodrigues, or to treat him as the representative Christian point of view, then as Christians we are obliged to counsel caution about the novel, despite its manifest literary strengths. That is, we should argue that Endō is a great literary success but also a great theological failure, spiritually dangerous precisely because he is literarily compelling. This should not be a shocking assessment; it does not require us to be blinkered in our understanding of artistic merit; it simply requires us to be clear-eyed and honest about what helps us in the struggle for obedient faith and what hinders us. I do not want to leave it there, however, because I am convinced that, in Silence, Endō has in fact given us significant reasons to doubt that the interpreter’s summation is the final word. I do not intend to settle the question of Endō’s “real meaning,” here, because I am not fully convinced that Endō had made up his own mind at the time of writing Silence. Given the extent to which Endō participated in the contest of rival revisions of Japanese cultural identity in the postwar period, and the way that he turns away from the coarse East/West categories of White Man/Yellow Man and The Sea and Poison to wrestle with the particularities of Christian/Buddhist dialogue and the history of Christians in Japan, it should not be surprising that we find him conflicted during this middle period of his career (which we could roughly date from 1960’s Volcano to 1980’s The Samurai, with Silence, The Golden Country, and A Life of Jesus as the midpoint). Later, he would be quite publicly committed to a pluralism that explicitly eviscerates Christian understanding of truth; but about thirty years separate Silence from Endō’s later and much more ardently pluralistic final novel, Deep River. If we take seriously the claims of Endō’s baptismal faith, which he innovated against radically but never formally repudiated, we have to take the full measure of whatever elements of that faith achieve expression in Silence and how those relate to the rationalizations and delusions that Rodrigues first succumbs to under pressure, then attempts to justify. In this vein, readers of Christ and Pop Culture may find takes by Michial Farmer, Alissa Wilkinson, or Thomas P. Harmon worth wrestling with. For my part, I cannot be fully satisfied with any of these approaches. Wilkinson has many good points—there is nothing we know about Endō’s works if not that he was legitimately troubled by the tension between Western liberal nationalism and the Christian tradition, and the problematic relationship of Tokugawa, Meiji, and postwar Japan with both of these. Wilkinson’s reading of Endō’s relationship to Catholicism, however, seems to assume that Endō maintained a robust faith in tenets such as the Incarnation, on the one hand, and that Endō definitely intends for readers to assume the voice Rodrigues hears is authentically the voice of God, on the other. That Endō was conflicted about such tenets seems clear, but it is at least equally clear that there is no good-faith perspective from which the words of the vision, or the rationalizations Rodrigues constructs around them, can be squared with the faith handed on by the martyrs. Farmer’s meditation is winsome but gets bogged down when he suggests that Endō is “too masterful a novelist to be a partisan.” Surely it flattens Endō’s project to read Silence as merely representing a struggle, rather than pursuing an agenda, though views differ (as indeed Endō’s own statements differ) as to the precise nature of that agenda. Similarly, claiming to know that “Endō’s intention is not to valorize apostasy” is my one major criticism of Harmon’s piece, which contains many points that I otherwise agree with. 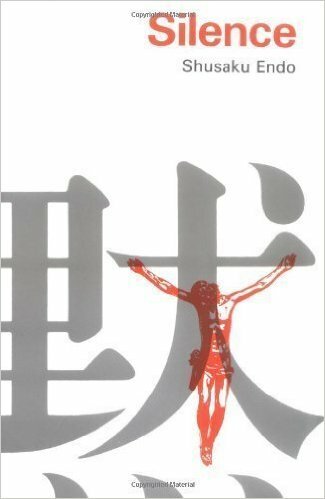 Each of these reviewers seems to desire that such a skillful novelist, who portrays so powerfully many scenes of the fidelity and martyrdom of ordinary Japanese Christians, be accepted as a good representative of the sort of Christianity each writer prefers. Is it possible, then, for discussion of Silence to move beyond the needed cautions about the main plot to a meditation on profound realities also skillfully depicted in the novel? I am convinced that it is; and if that is possible, then I would suggest that the mark of a faithful response to the novel, or of a truly excellent movie adaptation, would be to lend emphasis to those realities. We should also consider the possibility that Rodrigues is depicted as being in bad faith throughout the story that leads up to his apostasy. One way of doing this would be to look carefully at the ways that Rodrigues uses visualization to bypass considerations of truth; such an effort to use devotional fervor to “believe” what one does not currently see as true bespeaks a lapse into the notion that spiritual reality is of such a different kind to the reality we experience daily as to require a radically different kind of reasoning. Another way of inquiring into whether Rodrigues is really in good faith might be to look at his hasty assumption that Kichijiro is a Judas-figure, comparing that to the steps that lead Rodrigues to embrace the idea of being a Judas. Both of these, I suggest, can lead us to fruitful self-examination as well as to a more spiritually beneficial understanding of Silence. My third suggestion for interpreting Silence favorably is more radical than the first two, but it also supplies what they lack. I suggest that we might want to consider whether the companion Rodrigues sets out with, Fr. Garrpe, represents a grasp of Christian faith that triumphs over the despair urged by the interpreter. In one of the most powerful scenes in the novel, Rodrigues is taken to a place overlooking a beach, where the interpreter shows him Garrpe being offered the chance to apostatize. The interpreter makes Rodrigues watch as Japanese Christians, one by one, are bound up in bamboo mats and thrown in the ocean to bob for a while and then drown. Garrpe, the interpreter tells Rodrigues, is being told that no more of these Japanese Christians will be drowned if he will renounce his faith. The interpreter tells Rodrigues that these Christians have already apostatized under torture, to underscore the seeming futility of Garrpe’s fidelity. In one of the most emotionally charged moments in the novel, Rodrigues and Garrpe each make choices that may well determine almost everything that follows. Rodrigues inwardly cries out for Garrpe to apostatize, insisting to himself that in the same situation he would apostatize, much like he cried out for Japanese Christians to renounce their faith rather than be tortured to death in an earlier scene. Garrpe’s choice is different. Despite having been the more physically frail and fearful of the pair early in the novel, Garrpe responds like a true priest: having heard that these Christians had apostatized under torture, he runs into the water, swimming out to join them in singing a prayer, and dies in the act of bolstering their faith at the last. If there is a faithful interpretation of Silence, I suggest that it comes from understanding that the whole book, especially the martyrdoms of the Japanese Christians and Garrpe, may successfully testify against the reasoning of the interpreter and the self-justifications Rodrigues offers for his apostasy. Unless we want to flatten the novel out to a mere study in the depiction of various extreme emotional states, we have to grapple with Endō’s carefully structured arguments and examples, set in motion against each other through characters such as the interpreter and Rodrigues. A faithful and charitable reading, I suggest, requires an anchor in something real, like the fact of martyrdom and the hope of eternal union with Christ that animates martyrs, that reaches beyond the mere back-and-forth of human feelings in difficult circumstances. Peter G. Epps is a passionate devotee of the liberal arts. He currently serves as Visiting Assistant Professor of English at Oklahoma State University in Stillwater, Oklahoma, and as the Coordinator of the Rite of Christian Initiation of Adults at St. Francis of Assisi Catholic Church in Oklahoma City, Oklahoma. His interest in Religion & Literature Studies and 19th-Century British Poetry has led him to study figures on both sides of the Atlantic and Pacific, including H. P. Lovecraft, Samuel Taylor Coleridge, and Shūsaku Endō.